We offer two payment options for year memberships. Pay monthly for one year or receive two months free when you pay up front! Family must be related by marriage, adoption, or birth. Ages 12 and under must be accompanied by a paying adult member. Monthly payment cancellation fee is $50. Student memberships must be signed by parent/guardian. Student rate is extended to college students with valid college ID. 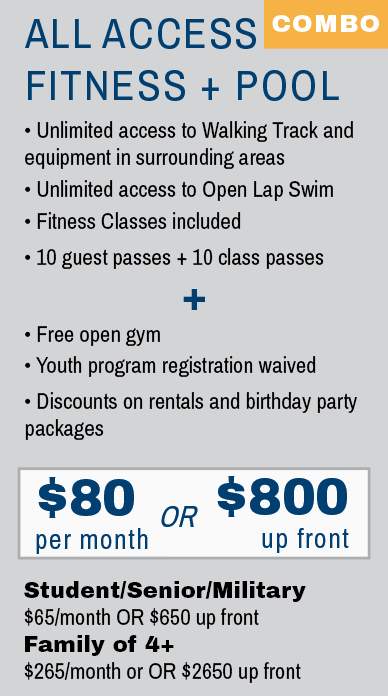 Become a Masters Swim Team member with an additional fee to any pool memberships.